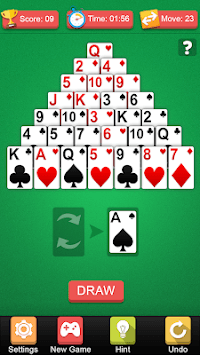 Pyramid Solitaire is a free solitaire game which is playing to any ages. 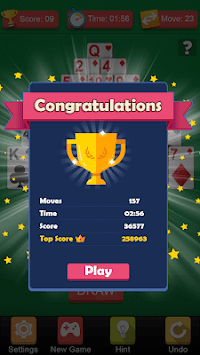 If you really like card games then pyramid solitaire game gives you endless fun, challenges and it is completely free. Pyramid Solitaire card games free is the most popular classic card game in the world. 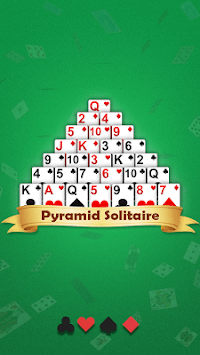 Pyramid Solitaire - Play card Games is combination of the simplicity of other Solitaire games with logic and strategy. Pyramid Solitaire app is a puzzle game that requires logic and strategy to clear the table of cards. Its high rank card games, playing online or connected games.